Peter Kestner has extensive experience with truck accident cases, both as a private attorney and representative for trucking insurers. He is a co-founder of the law firm McEwen & Kestner. Prior to founding his law firm, Peter served for 10 years as a claims adjuster and litigation manager with one of the largest tractor trailer insurers in the U.S. Peter earned his B.S. from Skidmore College in 1989, and his J.D. from William Mitchell College of Law in 2001. Peter now uses this defense experience to represent individuals injured by the negligent acts of trucking companies. 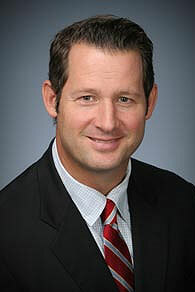 Peter has also served as personal counsel to policy holders in disputes with their insurers as well as serving as an expert witness in insurance litigation matters. He sits on the Executive Committee of AAJ’s Interstate Trucking Litigation Group, he is the Amicus Committee Chair for AAJ’s Interstate Trucking Litigation Group and its Special Project Director, he is on the board of directors of Minnesota Association for Justice and he also holds a CPCU professional designation in insurance. Special Projects Director, AAJ Trucking Litigation Group 2013-2014. Newsletter Editor, AAJ Trucking Litigation Group 2012-2013. Co-Chair, Amicus Curiae Committee, AAJ Trucking Litigation Group 2011-present. Co-Chair, Membership Committee, AAJ Trucking Litigation Group 2013-2014. Minnesota Association for Justice Board of Directors 2012-present. Appeared Pro-Hac Vice in Trucking Cases in the following jurisdictions: District of Colorado, Western District of Kentucky, Wyoming State Court, New York State Court, Iowa State Court, Illinois State Court, Wisconsin State Court. Author- “Broker Liability for Negligent Selection of an Independent Contractor”, Minnesota Trial, Volume 37, No. 4 (Minnesota Association for Justice Fall 2012).